A US Senate probe has disclosed how lax controls at Europe's largest bank left it vulnerable to being used to launder dirty money from around the world. The report into HSBC, released ahead of a Senate hearing on Tuesday, says huge sums of Mexican drug money almost certainly passed through the bank. Suspicious funds from Syria, the Cayman Islands, Iran and Saudi Arabia also passed through the British bank. HSBC said it expected to be held accountable for what went wrong. The report into HSBC was issued by the Senate Permanent Subcommittee on Investigations, a Congressional watchdog that looks at financial improprieties. It also concluded that the US bank regulator, the Office of the Comptroller of the Currency, failed to properly monitor HSBC. Many of HSBC's breaches of US anti-money laundering relate to its use of bearer share accounts. Under the rules for these accounts, ownership of shares and the income they incur can be passed from person to person in secrecy. 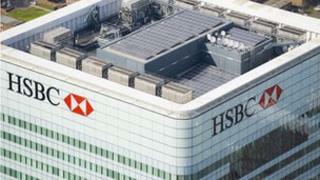 HSBC's US subsidiary HBUS had opened more than 2,550 accounts for bearer share corporations. These businesses are commonly set up in tax havens such as the British Virgin Islands. Most of the bearer share accounts - some 1,670 - were opened at the Miami office of HBUS. At their peak, these Miami accounts held $2.6bn of assets and generated annual revenues of $26m. The report highlights the case of Miami Beach hotel developers, Mauricio Cohen Assor and Leon Cohen Levy. The father and son used HBUS accounts opened under the names Blue Ocean Finance Ltd. and Whitebury Shipping Time-Sharing Ltd. to help hide $150m in assets and $49m of income. The pair were jailed for 10 years for criminal tax fraud and filing false tax returns in 2010. The year-long inquiry, which included a review of 1.4 million documents and interviews with 75 HSBC officials and bank regulators, will be the focus of a hearing on Tuesday at which HSBC executives are scheduled to testify. These will include HSBC's chief legal officer Stuart Levey, who joined the bank in January and was previously one of the top officials on terrorism and finance at the US Treasury Department. In a memo released ahead of the hearing, HSBC chief executive Stuart Gulliver said: "It is right that we will be held accountable and that we take responsibility for fixing what went wrong. "As well as answering the subcommittee's questions, we will explain the significant changes we have already made to strengthen our compliance and risk management infrastructure and culture," he said. A separate HSBC statement said its executives will offer a formal apology at the hearing. "We will apologise, acknowledge these mistakes, answer for our actions and give our absolute commitment to fixing what went wrong," the bank said. Senator Carl Levin, chairman of the sub-committee, spoke of a "polluted" system that allowed black-market funds to move through the US banking system. In 2010, Wachovia agreed to pay $160m as part of a Justice Department probe that examined Mexican transactions. Last month, ING agreed to pay $619m to settle US government allegations that it violated US sanctions against Cuba and Iran.